This film is a must-see for everyone in the LGBT community. For theatrical dates go here. June 28, 1969: NYC police raid a Greenwich Village Mafia-run gay bar, The Stonewall Inn. For the first time, patrons refuse to be led into paddy wagons, setting off a 3-day riot that launches the Gay Rights Movement. 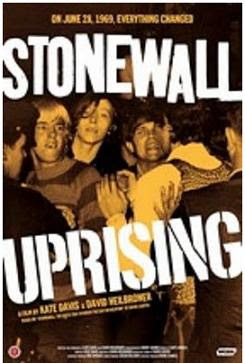 Told by Stonewall patrons, Village Voice reporters and the cop who led the raid, Stonewall Uprising compellingly recalls the bad old days when psychoanalysts equated homosexuality with mental illness and advised aversion therapy, and even lobotomies; public service announcements warned youngsters against predatory homosexuals; and police entrapment was rampant. A treasure-trove of archival footage gives life to this all-too-recent reality, a time when Mike Wallace announced on a 1966 CBS Reports: "The average homosexual, if there be such, is promiscuous. He is not interested in, nor capable of, a lasting relationship like that of a heterosexual marriage." 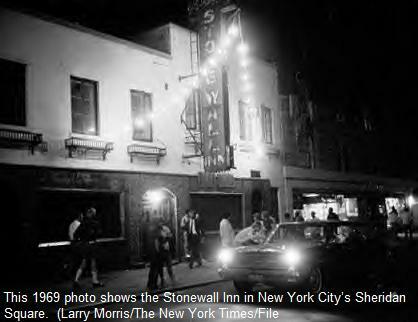 At the height of this oppression, the cops raid Stonewall, triggering nights of pandemonium with tear gas, billy clubs and a small army of tactical police. The rest is history. Read more here.